Summer hit Chattanooga a little late and with a vengeance. Not that I am complaining! With the woods, water and pools available, summer is my very favorite time of year. If you are new to the area or are looking to expand your adventures out a little further, you can find some amazing hikes that include waterfall (always a good thing on a hot summer day). 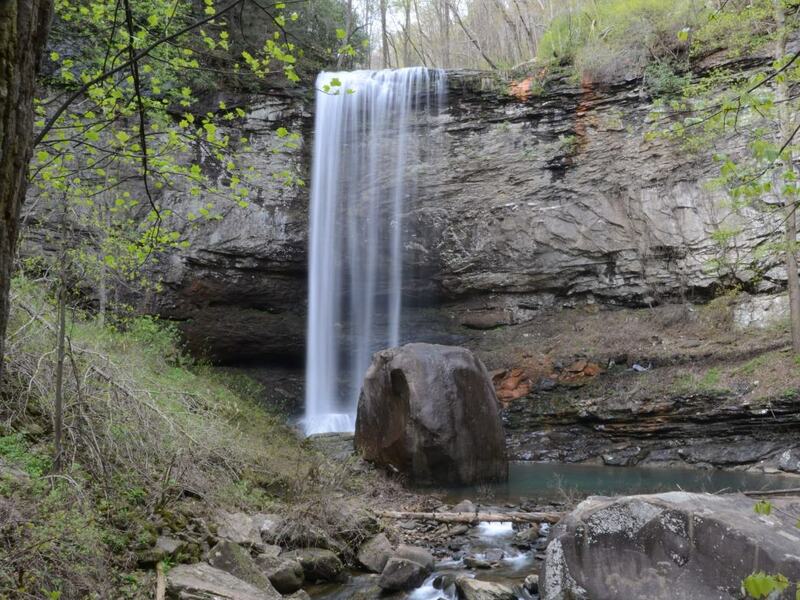 From the 60 foot water falls of Foster Falls to the majestic Fall Creek Falls near Crossville, there are so many day trips and camping weekends you can plan around hiking to waterfalls. Here are three of our favorite local(ish) waterfall hikes. After a rainy spring like we had this year, Big Soddy Creek is a running waterfall that is worth checking out. 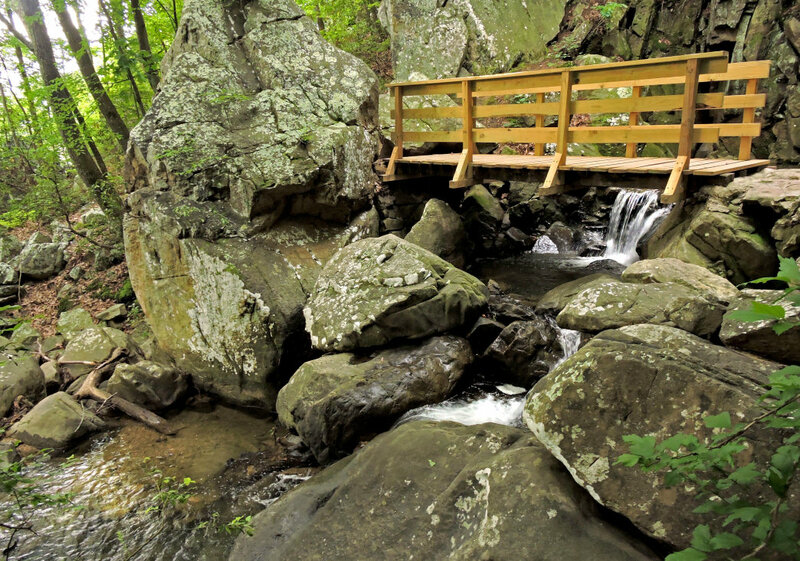 Featuring a family friendly (read easy) hike that is semi-paved, Big Soddy Creek Gulf Trail is a 8.2 mile moderately trafficked out and back trail located near Soddy Daisy, Tennessee. An option for a 2 mile hike can be done as well. Situated on a 285 acre tract that was acquired by the city in 2014, the trails are old mining roads and jeep trails and therefore are very stable for kids and dogs. Directions from Chattanooga, take U.S. Highway 27 North to Tennessee Highway 111. Immediately after getting on Highway 111 North, take the first exit, turning left onto Back Valley Road. In about 0.4 miles and just before crossing Big Soddy Creek, turn right. After passing underneath the railroad, the parking area is on the right. You can also find Big Soddy Creek Gulf marked on Google Maps. I ran a trail relay race that lasted all night long and my leg ended near the Lula Falls around 11pm. The site and sound of the falls in the middle of the night was one of the most memorable things that I have experienced in a long time. Located on the Lula Lake Land Trust, the falls are accessible on two weekends each month. Visitors can hike an easy path from the parking lot, or hike a moderate hike that includes the bluff view from Lookout Mountain and encompasses a hike down to the bottom of the falls. Viewing the falls in the daylight is just as wonderful as experiencing them at night and I personally think the areas is one of the most beautiful in Chattanooga. Visit the Lula Lake Land Trust website for open dates and for directions. 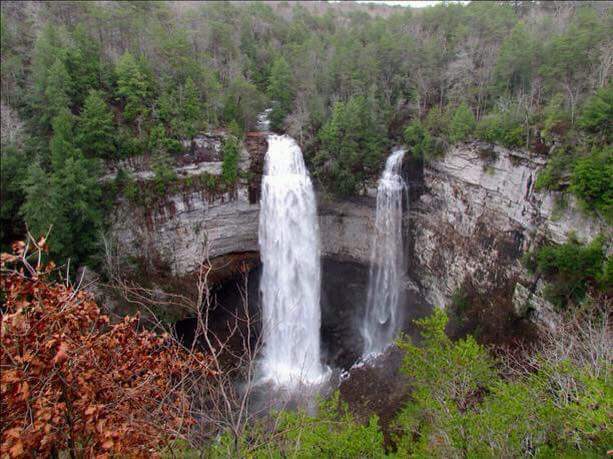 One of the easiest falls to reach, Glenn Falls is located about half way down Lookout Mountain on Ochs Highway. Parking is a little weird (literally the side of the road), but there is rarely anyone there, so you most likely will have no issues. A short 2 mile loop leads you along a very gentle path, with fun little notches to hide in and rocks to climb. (Can you tell I have taken kids there?). Just a short drive from downtown, 7 miles, you can easily grab lunch in St. Elmo and then walk it off with a hike to a waterfall. What more could you ask for? Located about an hour’s drive from downtown Chattanooga, Lower Greeter Falls is part of the South Cumberland Park State Park. Considered one of the best waterfall hikes in the area, it is part of a trio of falls located in the park. Situated in a picturesque gorge, this hike is a bit steep, but not overly hard. Featuring a massive waterfall and blue hole pool, this is worth both the drive and the hike. Check out the other two fall, Upper Greeter Falls and Broadtree Falls if you are feeling energized. Cloudland Canyon State Park, located on Lookout Mountain, is an often overlooked area for great hiking, camping and site seeing in the Chattanooga area. The upside to this hike is that it features two waterfalls and is only 2 miles long. The downside is that it is difficult with stairs and a lot of elevation changes. This should not discourage you, however, as Cloudland Canyon is one of the most beautiful areas in the Chattanooga/ North Georgia area and is often a lot cooler than downtown. Looking for more trails with great waterfalls? Here is great guide to waterfalls around the Chattanooga area. Looking for tips on what to do in Chattanooga? Give us a shout. We love hiking and have been on most of the local trails in town.